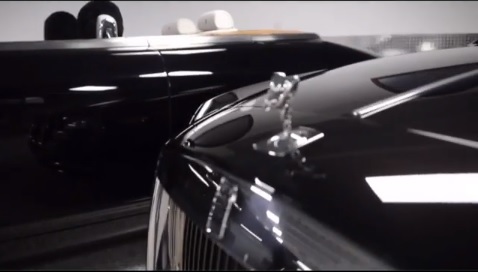 The famous American boxer, Floyd Mayweather, who is well known for showing off with his wealth on social media recently shared a video on IG showing his expensive cars in his garage. The cars are estimated to be worth £1.5 million. “All Black Everything” Trying to decide what I want to take for a spin… The Phantom, The Wraith, The Drophead, The Dawn, The Maybach or The 488 Ferrari. Floyd Mayweather owns 4 Rolls-Royces, a customized Mercedes Benz and a Ferrari sports car among others.